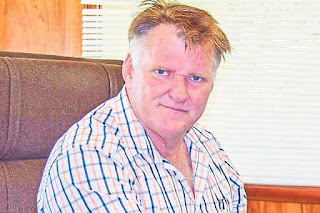 The President of the Forest Industries Association, Mr Tony Honey, today seriously called into question the logic and basis for the Government announcing an effective 50% increase in the log export tax in the 2017 Budget. Export prices are currently at a depressed level and export demand remains weak. International market analysts are forecasting continued weak markets throughout 2017 with no significant improvement until 2018-19 and this is dependent on economic recovery and stability in China, our largest export market. “The apparent conflict between statements made by the Chief Secretary on the tax increase are confusing and will lead to an immediate collapse in investment and job creation in the forest sector. How is it possible to say that ‘there is no point in increasing taxes when we are going through financial difficulties’ and then, that we are ‘looking at that, log export taxes, closely to ensure that tax (increase) does not impact on the industry in a negative way’. Of course a doubling of the turnover tax, that’s what export tax is, will have negative impacts on the industry most certainly and we are seeing this already”, he said. “Cutting any companies cash flow by 50% during a market depression is a recipe for disaster. Many forest industry participants are already planning for a significant scale down of operations and staff retrenchments beginning the 1st January”.